Norman Kross has returned home to Los Angeles following a lengthy career as a professional interrogator. Content to work on his memoirs and mold the minds of future interrogators, Kross begins to consider retirement. Approached to interrogate a veteran character actor who is believed to be behind the murder of an acclaimed director’s socialite daughter, Kross soon learns that this may prove to be his most challenging interrogation yet. Can Kross uncover the truth? Full disclosure: I was approached by the author and offered a free copy in exchange for a fair review. My first impression of Ott’s novel was the intricate nature of his writing when it came to detailing Kross’ surroundings – something that’s important considering Kross’ skill set. It seems that as an interrogator it’s a good idea to know your environment and to know your opponent, as there’s a consistent pressure to remain in control at all times. While I can’t speak to its accuracy, I can imagine Ott’s personal experience as an interrogator played well into the intensity of each session with the suspect. Speaking of Mr. Stark, I had some trouble with Kross’ adversary. It was a struggle to believe someone would be so flamboyant in the face of a murder investigation. That being said, it did keep things interesting, which is sometimes better than a straightforward procedural. It should be worth noting that Ott also inserts excerpts from Kross’ fictional memoir at the beginning of each chapter. A bonus story that works well and doesn’t feel tacked on. 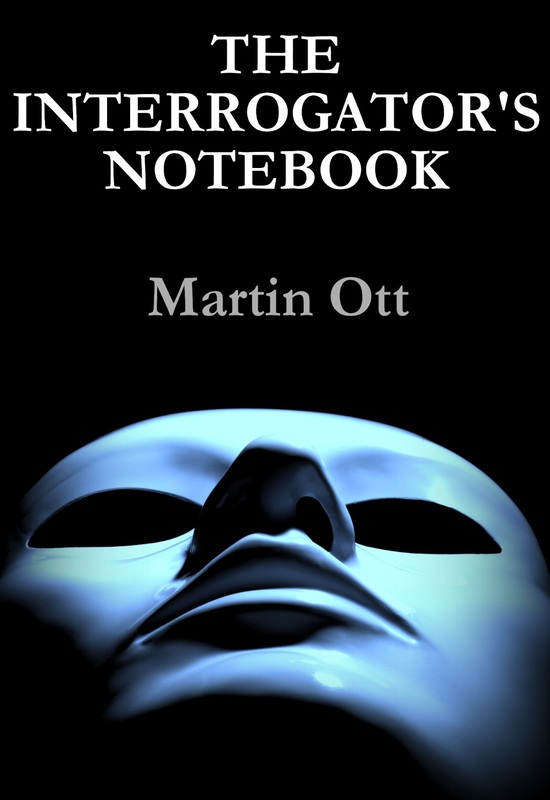 September 13, 2013 in Fiction, Martin Ott.